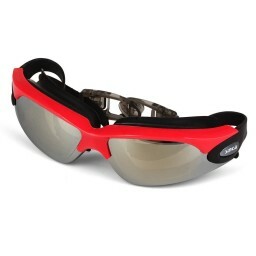 180-degree perspective, with anti-fog and scratch-resistant coating added, which is durable. 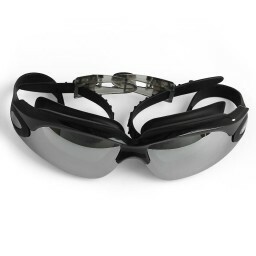 * 180-degree perspective, with anti-fog and scratch-resistant coating added, which is durable. 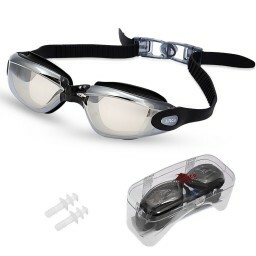 * 100%UV protection, UV-RAY, anti-leakage, in that way your precious eyes will be protected from hurt while you are swimming. * The goggles' band is easy to adjust. Even you are in the water, you can adjust the tightness quickly for best wear sense. 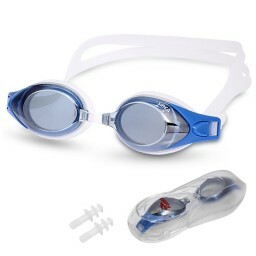 * With soft silicone gasket and lasting anti-fog PC lens so that the most comfortable swimming experience can be guaranteed. * The lens material: PC polycarbonate and Silicone. The frame material: Polycarbonate.